Have you wondered what to do when you can't afford a vacation? Do you simply just hold off and hope that "one day" you can make it happen...and that it'll just magically materialize? I just can't afford to do that! Well...I hear ya. And yes, taking a month off is simply not a feasible option for many. That being said, don't just throw out the baby with the bath! You can travel. You can have adventures. And you can even have a stay-cation that will transport you all over the world! Let's talk. We all know the old adage "Whether you think you can or think you can't, either way you're right." (Henry Ford). Well, this is the biggie. What it takes to do what we did isn't to win the lottery. It isn't to get a huge inheritance or anything crazy like that. It can really be boiled down to one word: PLANNING. It seems overwhelming and impossible. You have kids pulling at you, bills to pay, work demands all the time, and just never enough....time, money, time to breathe! But get this - we are actually choosing the life we live. Sometimes that drowning feeling is only happening because you haven't put your feet on the ground. Sometimes, putting your feet on the ground means drawing some clear lines over whether you are running your life, or your life is running you. 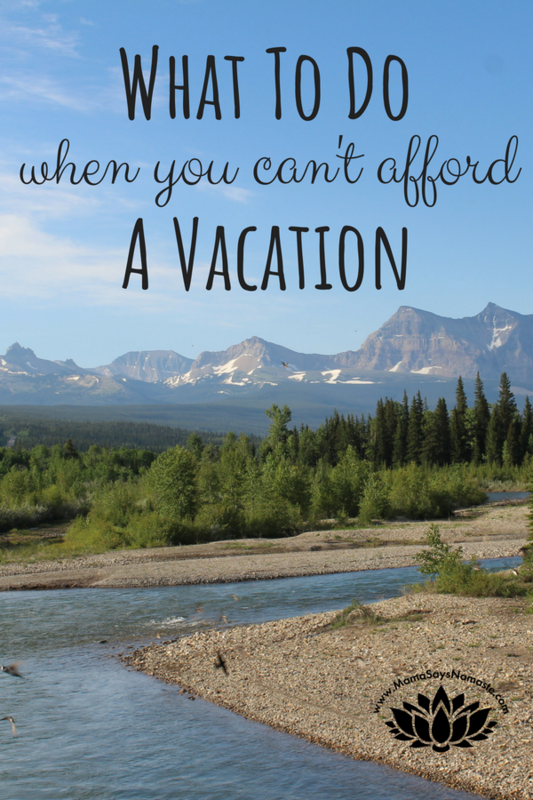 Let's get down to brass tacks - you want to what to do when you can't afford a vacation. Remember that vacation is a mindset. If you've read my personality style series, you know that I can come across very...direct. I'm not trying to just be harsh. This is a topic I am so passionate about, and although I can write a book in a nice way, cramming it all into a blog post means I need to get to the point quickly! 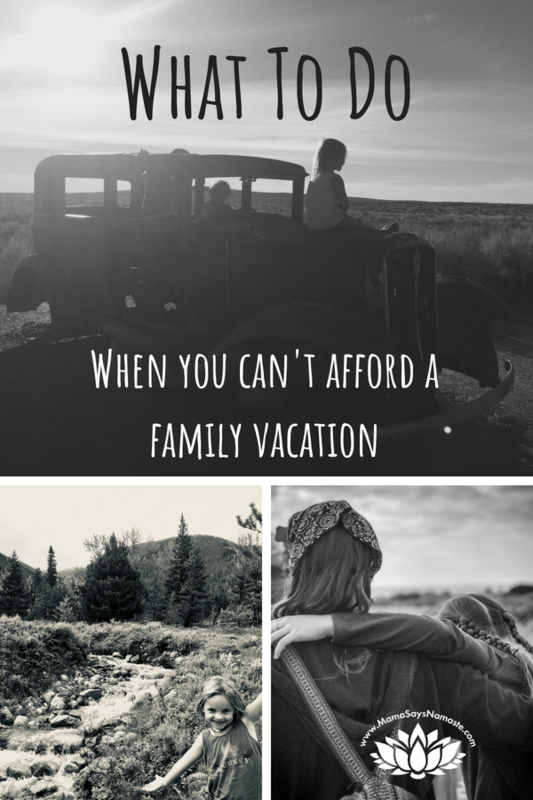 Vacation isn't just about how long you can go or how extravagant you can afford. 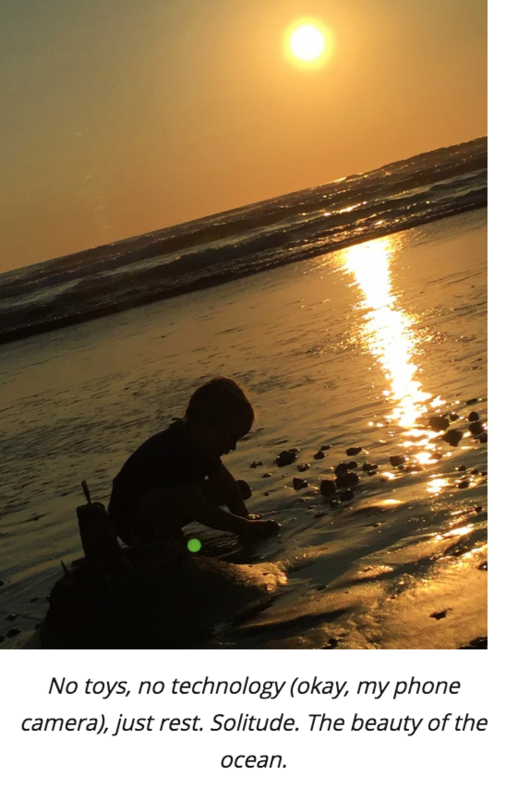 It is really about the mindset of rejuvenation - how are you going to rest, recharge and connect with the ones you love? How are you going to make yourself (and your loved ones) a priority in this world? How are you going to recharge your energy? Don't let budget limit you in your pursuit of happiness - where there is a will, there is a way. You can stay at home and simply plan for a day, weekend, or even longer to take time off. We do it for maternity leave and justify this as acceptable. But how many times do we let vacation days roll by without taking them, always striving to make the extra dollar? Or not utilizing them simply because we didn't plan (or budget for) anything? 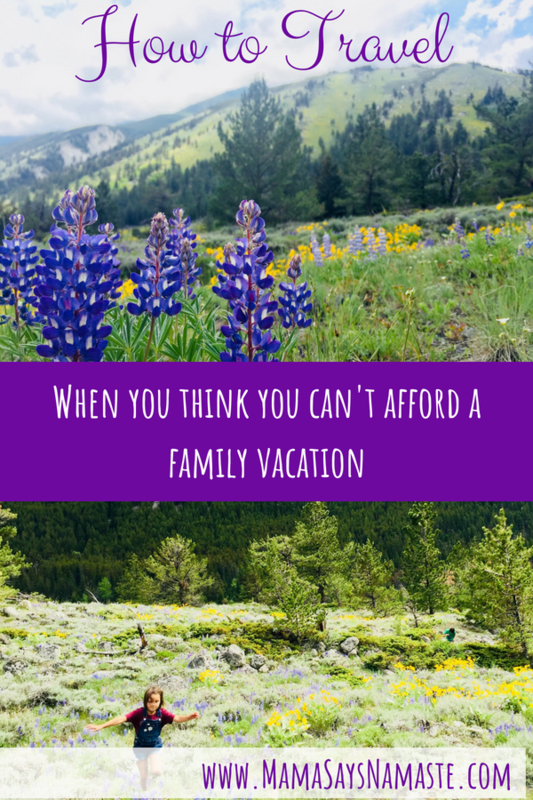 You may have searched "what to do when you can't afford a vacation," however, it begs the question - when you are so drained, how can you afford NOT to take a break? This is reserved for another blog post, but I want you to seriously sit down with your significant other and talk right now about how much money you actually need to live on. We all can fill our lives based on the income we have at the time. When you are making $30k/yr, you figure out how to make it work. And when you are making $150k/year, somehow, your expenses start to fit that amount. We live at our max. Maybe, just maybe, you don't have to. Maybe you can actually live off less than you did before. Let go of that extracurricular activity, that cable subscription, or anything else that would simply go under miscellaneous and not a necessity. Look at the little things and start saving up. 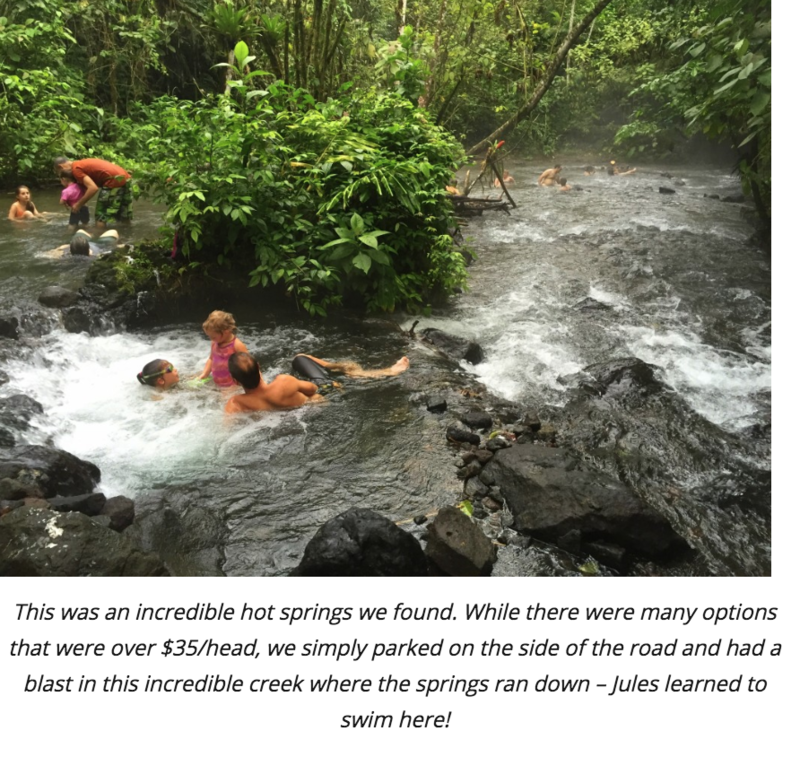 Even if it's just your "Starbucks Jar" and you forgo your daily cuppa joe, at $5/day that's $1,825 you save in a year that could go toward a fun trip! Decide how crazy you want to get. 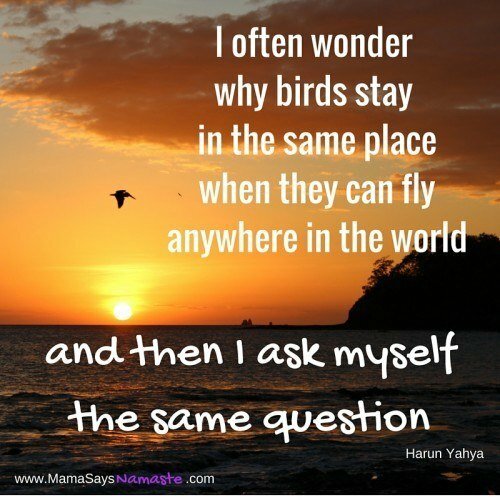 Find your destination, set your budget, and decide how long it will take you to get that nest egg. Start planning now to put a little away with every check that comes in, and forgo that extra meal out or extra thing that clutters your house. Taking a vacation requires some leg work - research plus saving up. You can't just hope to have it happen "one day" and yet not do anything today to make that a reality. Volunteer: There are a ton of opportunities to travel somewhere and get food, lodging, etc for FREE in exchange for your help. Here are 10 volunteer opportunities for free travel. A simple google search brings up all kinds of opportunities. Not only is this an incredible way to give back, but it creates amazing lessons for your children and allows them to see ways to help and look beyond themselves. Try House-Sitting: These are fabulous! Stay all over the world for FREE!! This goes along the lines of volunteering, as you are helping out the homeowners. The catch is this - you pay a membership to the site (around $50-$200/yr) and the reason people want you to stay for free is typically because they have pets to care for. I see this as a plus - you get to go on a trip, stay in an awesome house, and have built in furry playmates for your kids! Check your Credit Card Rewards: You may have accumulated points for a flight or more. (And yes, for all you Dave Ramsey folks out there, we DO have a credit card. We use it exactly like a debit and pay it off every month - all our groceries, gas and online purchases are made on the card, and we rack up reward points for flights this way). Use the Price-War Sites: If AirBnB or VRBO isn't your thing, use Priceline.com, Expedia, etc to watch flights, hotels, cars, etc - my parents use Priceline all the time - they put in the price for a hotel under the "name that price" option, and oftentimes end up in a 4 star hotel for less than $90/night. If you know when you want to go and how much you want to spend, just post what you want - you will be surprised at how many pricey hotels will accept a low bid just to fill the rooms. Find Free Things To Do: Ask locals! There are always parks, libraries, oftentimes free museums, walking around downtown, etc. Look for Free Transportation: Depending on where you go, there may be mass transit options, free trolleys, plenty of places within walking/biking distance. If you are in a location with a lot around, look at day rentals with cars, or use Lyft or Uber to get around when it's a necessity. 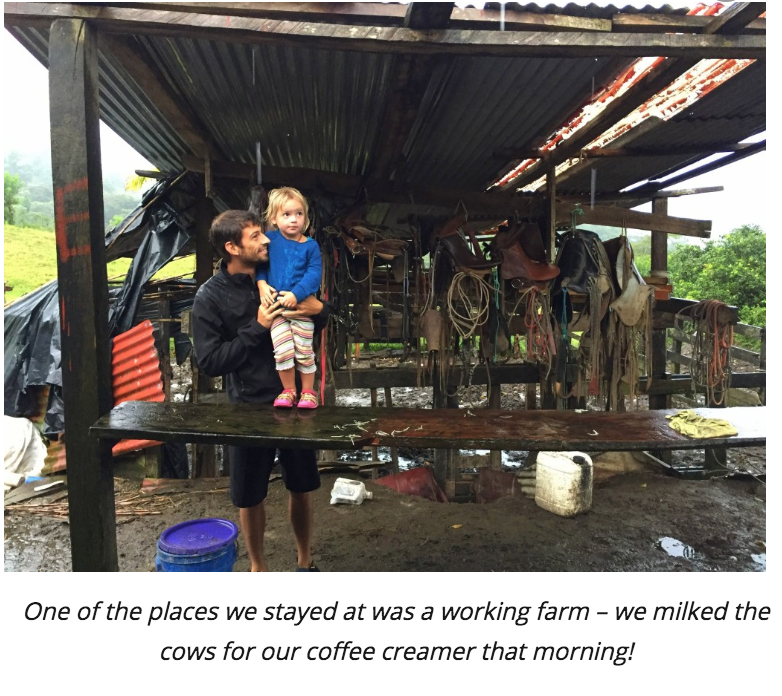 Rent Out Your House: AirBnB or VRBO your house while you are gone - we were able to pay for all our lodging while we were away by booking our house with guests (and we AirBnB'd all over Costa Rica)! There is a lot more I can share here - renting out your personal home has it's pluses and minuses. I'm glad I had the experience both as a host and a guest! Cook Your Own Meals: While you travel, stay at places with kitchens and eat out for only some of the meals. 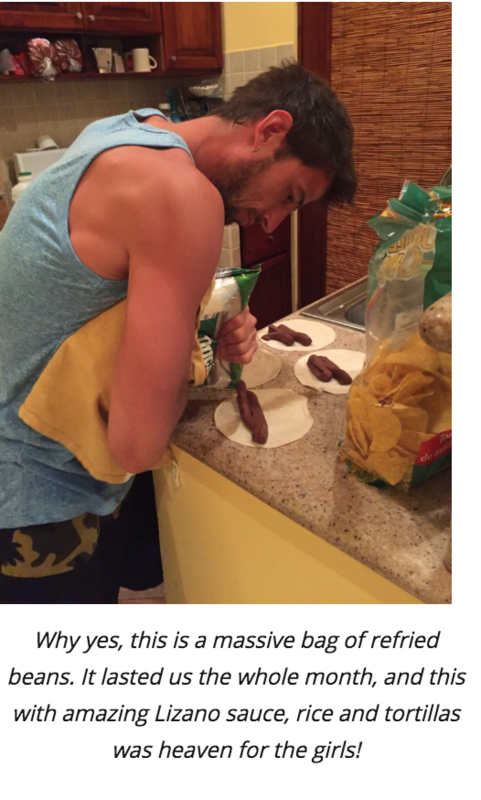 (We lived off a huge bag of refried beans, rice and tortillas. The girls loved it and we saved by only eating out every other day or so. *Another tip - we would often cook the girls dinner at home, then go out and let them do dessert while we had a nicer meal. They had full bellies and blissed out on a special treat while we were able to enjoy our dinner! Eat Out Family-Style: When you eat out, do it family-style. Instead of ordering a separate meal for every person (especially kids), we would order 2-3 for our family, and then separate things out. Like most kids, it can be hit or miss on how much they are going to eat. Instead of dealing with a lot of food waste as well as a high priced meal, we would start small and always have the option to order more if needed. Do An International "Staycation": Even if you don't leave your town, look for ways to make an "international" day - go to the International Market, ethnic restaurants, cultural events...build up to the big destination you are saving up for, and make sure you explore what is right under your nose! Let Someone Else Plan It! This may not always be the most budget-friendly option, but it can take the stress out of planning it! At some point, Nathan and I are going to use Magical Mystery Tours - it sounds so fun! You simply fill out an in-depth questionnaire on your travel desires, give them your budget, and then show up at the airport - they do all the rest. If you have a desire to do something specific, post it below - maybe we all can contribute ideas for how you can make it work and take it off the "one-day" pile and put a date for when it WILL happen! I love the challenge of coming up with budget-friendly ideas to make a vacation happen. 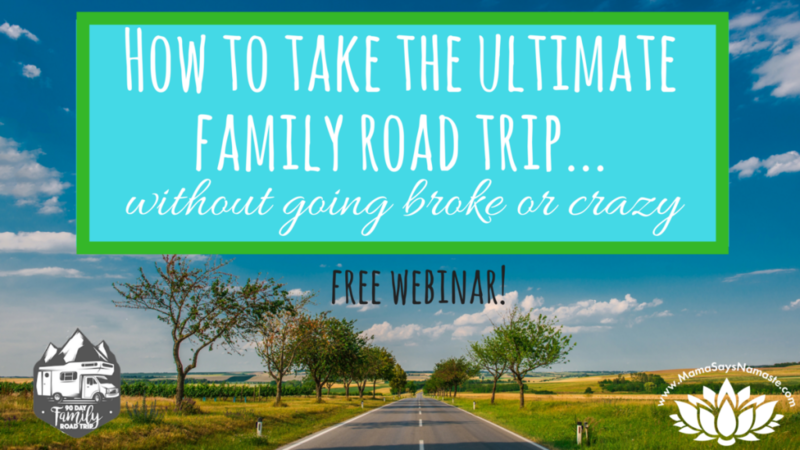 *No more searching "What to do when you can't afford a vacation" - you have some answers! I have way more information/opinions on each of these - if you want to know more, ask me in the comments below - I challenge YOU to start planning now for your next vacation - big or small, commit to making it happen, and reach out and ask for help along the way!